We’re shipping the kids off for some fun with the grandparents this weekend. And while they’re playing in the sun, guess what we’ll be doing. Decluttering as much as possible. (We’re also squeezing in a few dates – in case you were worried.) My hubby will be spending the majority of his time outside while I’ve got my eye on our closets – all of them. From clothes and coats to toiletries and brooms, I intend to ruthlessly clean out and organize them all. 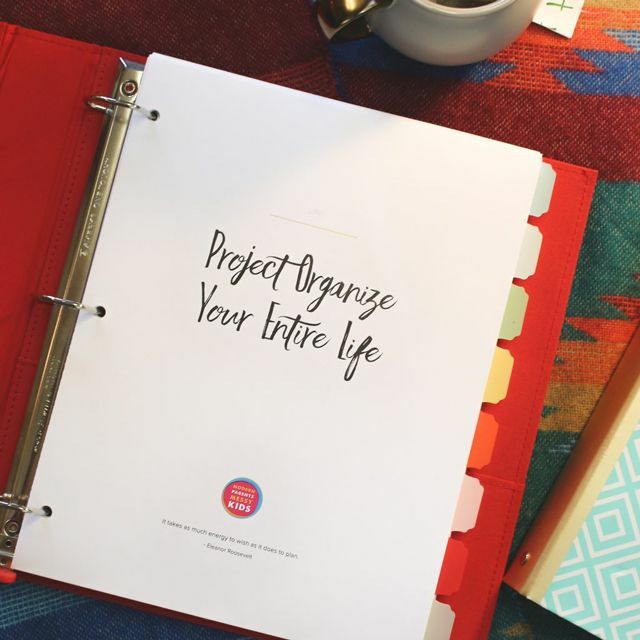 That means it’s time for another installment of Project Organize Your ENTIRE Life. This week I’m challenging you to tackle that closet in your home that makes you cringe every time you open it (or worse, duck for cover). 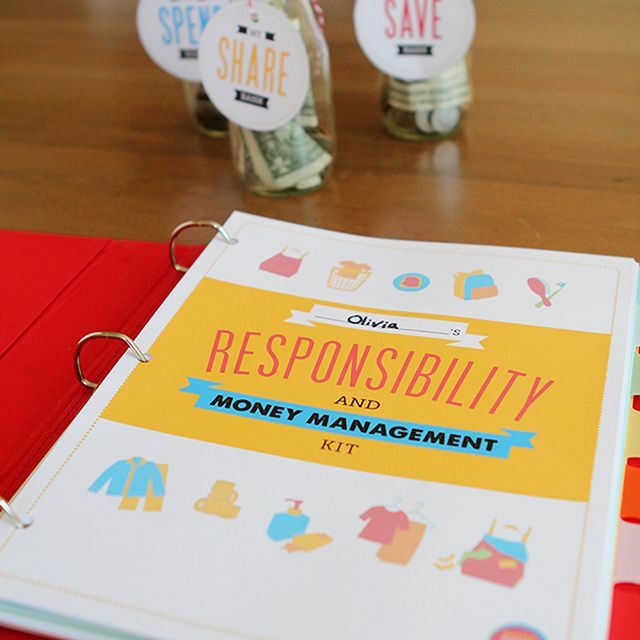 As always, I’ve rounded up lots of tips and inspiration to get you prepared. Ready? 11 Ways to Have an Organized Grown Up Closet – I love the emphasis on both form and function here. I just know having an honest to God “grown up” closet will motivate me to keep it looking good. In case my enthusiasm starts to wane in the middle of everything (not that that’s every happened before), I’ve bookmarked this post which is full of useful tips on how to pare down your closet (gradually if need be). This post nicely illustrates how to use specific types of closet organizing products. It’s also a great example of what to do when with all your stuff when actual closet space isn’t sufficient. Once I have my pretty closet, I vow to keep it that way by remembering to ask myself, “What is this closet for?” and acting accordingly. Next on my list is the linen closet – where my haphazard collection of lotion and cosmetic samples go to die. I love the look of these inexpensive DIY storage baskets. The “neck” and “wrist” categories especially appeal to my quirky sensibilities. In the end though, I’ll likely go with a system more like the one pictured above from Better Homes & Gardens‘ Clever Closets Slideshow. According to them, rolling towels takes up less space then folding them (I’m currently drowning in towels). I also like their ideas of using shelf dividers to create cubbies within each shelf and towel racks on the back of the door for items that tend to wrinkle. Read on for ideas on three more types of closets. (top left) – I love the whole set-up of this one. Though I doubt I’ll ever go as far as labeling the kids’ outfits for each day of the week, I dig the toy labels. Whichever you prefer, they’re all available as free printables. (top right) – If you’re blessed with enough storage that you don’t need to double up in the closet, then I highly recommend a reading nook instead. (bottom left) – My favorite ideas incorporated into this setup include plastic bins for shoes and a child-friendly step stool and laundry organizer. (bottom right) – This Pinterest find incorporates something we also did in S’s room, replacing doors with curtains. Getting rid of her bi-fold closet doors made her small room look less so and eliminated the possibilities for finger-pinching. In my house that pretty much covers all the closets we have. The one exception to this is our coat closet, which we have under control. Here’s a good post on that topic if you need it. For the truly spoiled amongst you who actually have things like a utility closet (gasp), I thought I’d throw in a few more covet-worthy spaces. Many of these links are only a part of entire closet cleaning series, so click through if you’re hungry for more.